Wudhu. It's an act of cleanliness for Muslims. It's also a spiritual connection to prayer. 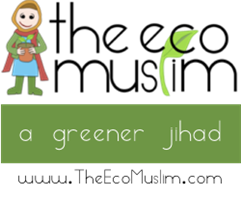 By the time we reach our teen years, we know why we perform wudhu, the connotations of saving water and how wudhu leaves it mark. 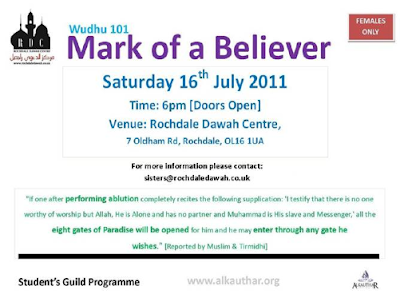 Mark of a Believer is a women's only event organised by the active folk at Rochdale Da`wah Centre, this Saturday 12th July. 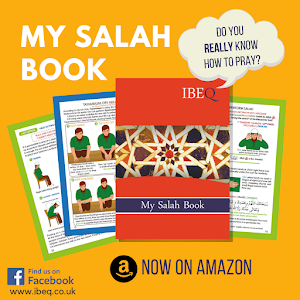 How will YOU be recognised on the Day of Judgement? Will you be amongst those who will be shining? Or those who will have darkened faces? Join Rochdale Da`wah Centre for a FREE workshop and learn how to perfect your Wudhu correctly so you can be amongst the greatest people insha'Allah. EXISTENCE FOR THE PAST 472 YEARS & HAS BEEN IDENTIFIED?